Harker’s youngest students enjoyed a spooktacular Halloween party! The second-annual event was held in the late afternoon on Oct.30. The festivities included activities in the classroom, special Halloween goodies and even trick-or-treating. Parents were encouraged to attend and participate. 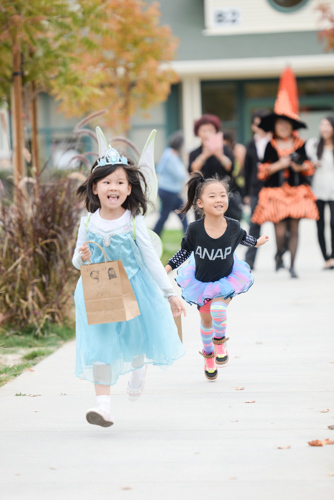 “Preschool students trick-or-treated around the yards of the school. Treats (non-food items) were passed out by Harker staff members. Parents coordinated classroom parties. Costumes were worn by nearly all students, teachers and staff. It was a fun afternoon!” recalled Andrea Hart, director of Harker Preschool.